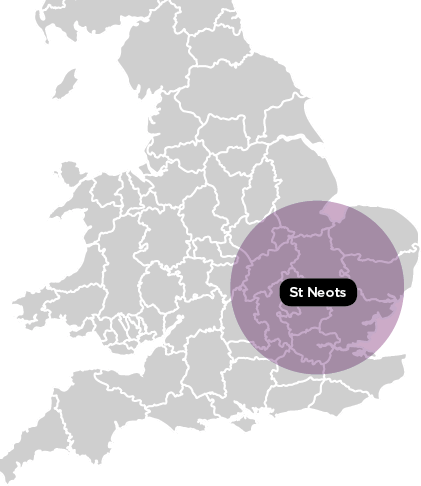 St Neots Coffee Company was founded in April 2011, after several years of experience in the vending and coffee machine industry, and after seeing first hand small businesses struggling with the contract terms associated with coffee machines, and also the poor levels of service and support offered to many customers. At the heart of our business is the rental of table top bean to cup coffee machines in our local area without any tie-in so that our customers can rent a machine on simple terms and with minimal risk and outlay. Providing coffee offers many businesses with an opportunity to attract new customers, and with the explosion of high street coffee chains, customers have developed a more discerning taste for coffee and expect more. Serving quality fresh coffee is now expected rather than a luxury, and the high margins that can be achieved from serving a premium product make good business sense. As the business has grown we have seen a demand from those wishing to buy rather than rent. We work closely with Jura to offer their full range of bean to cup machines at competitive prices and offer financing for customers wishing to spread the cost of a new machine. Based near the Cambridgeshire and Bedfordshire border, we supply machines on rental mainly within these and surrounding counties, but do cover areas further afield providing we are confident of offering a good level of service. The hire of machines for events also extends through these counties into London and the Midlands to cover the main exhibition centers there. If you are looking to buy a machine we can supply both new and used equipment to most areas of the UK, and offer a full delivery, installation and training service where possible. We also work with partners North and South who may be able to supply machines, repairs and servicing in areas we can’t, so it is always worth contacting us to see if we can help.